The County Town of Suffolk, Ipswich plays home to University Campus Suffolk. A benchmark in academic achievement for the area, the higher education facility is the first such institute to be formed in the district and is part of the collaborative venture with the University of Essex and the University of East Anglia. Though Ipswich is not home to its own fully fledged University , the University of Essex remains a popular academic choice in the region. With an expected intake of 7,500 students by 2014, the growth of University campus Suffolk is expected to have an ongoing effect upon the development of student life in Ipswich. The town itself offers an eclectic range of sites and attractions. Whether wandering the glistening beauty of the Nepture Marina Quay, taking in the anachronistic hustle and bustle of the old market or lavishing in the stylised beauty of the Ancient house, Ipswich is a town of fascinating history and enlivening modern development. 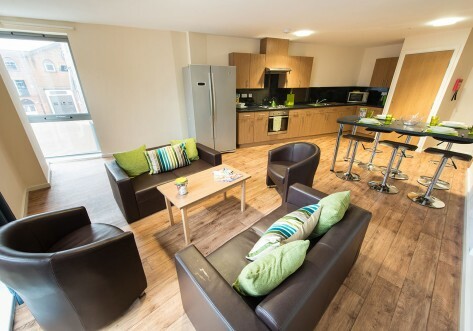 Academics will be able to enjoy a refreshing student life in Ipswich. A socio-economic mix developed through the growth of commercial regions has ensured that Ipswich is set to grow in popularity over the coming years and may be awarded with City status in the near future, leading to even greater development. Of course, that’s not to say that there isn’t already plenty to see and do in Ipswich. The campus itself has its own student bar and is always keen to pass the best savings onto the local academics. Anything from karaoke nights to live bands can be enjoyed for very low costs. On campus restaurants and cafes also offer affordable eating options, whilst the town centre itself provides a broad range, with anything from Fish and Chips to fine dining experiences on offer. For food, Cardinal Park is guaranteed to offer something for everyone.